Education Minister says delay in passage of bill allowing re-legislation of laws struck down by Supreme Court unacceptable. 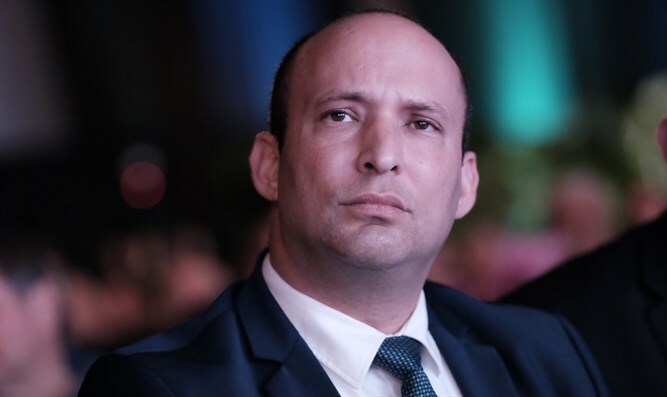 Education Minister and Jewish Home party chairman Naftali Bennett called on the prime minister to expedite the legislative process of the Overrule Clause that will allow the Knesset to re-enact laws rejected by the Supreme Court. "I declare clearly: We will support every version of the prime minister's Overrule Clause, just bring it in. It should be legislated before the opportunity passes, it could have been possible today or Sunday at the cabinet meeting." "There is a law that is already ready for an immediate vote. In my experience, a few weeks' delay means that the opportunity is likely to be lost," Bennett said. Earlier, it was reported that at a meeting of coalition leaders held Wednesday afternoon, Bennett told the other ministers and Prime Minister Netanyahu: "Let's go to the ministerial committee for legislation this afternoon to approve the broad expansion clause ... It's time to move from words to deeds." The prime minister refused and said that an alternative option should be examined - the passage of the 'British mode'l that would prevent the Supreme Court from disqualifying Knesset laws. "It's been many years, the time has come to decide," Bennett stressed. "I am afraid that if we are not determined, it will be the wrong message to the infiltrators and to the world." Interior Minister Aryeh Deri warned that passing the bill "could harm the Supreme Court's response to the Uganda issue." Bennett replied, "It's not worth it because it will collapse, the Overrule Clause is the solution." The prime minister vetoed the proposal and refused to convene the Ministerial Committee on Legislation. A source close to Netanyahu presented a different version of the chain of events. "Bennett was pressed to approve his bill today. When Miriv Levin heard that there was a broader and stronger bill, he stopped. "All the heads of the parties agreed that the British model of the prime minister is more significant than Smotrich's bill, including Smotrich himself who told Yariv Levin this morning that his proposal was 'problematic'," the source said.